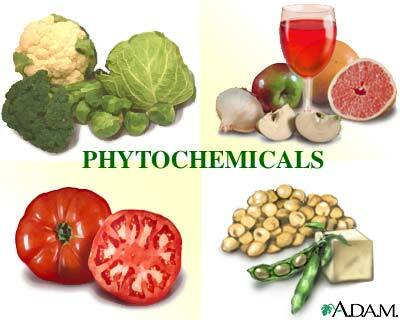 Plants provide many beneficial nutrients (phytochemicals) which may protect against cancer. Isothiocyanates (found in broccoli, cauliflower and brussel sprouts) may suppress tumor growth and hormone production. Flavonoids (apples, grapefruit, red wine, etc. ), soy and lycopene (found in tomatoes) also demonstrate protection against cancer.